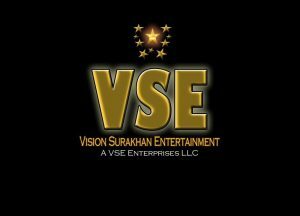 Producer Sura Khan, a spectacular classic visionary man who believes in working hard is a founder and chief executive officer of “Vision Surakhan Entertainment Enterprises” with an all-embracing experience of 30 years in the field of entertainment and public speaking. He is extremely compassionate and after extensive study and research, he exhibits his noble vision for the 21st century to contribute for the betterment of humanity. He is currently serving as the Senior Supervising Producer /Writer for Face Lite Communications Inc. He is the writer and producer of “Set Life Cali” a new talk-variety show about the business of show business. He is also the writer of the Series “Brooklyn Don” The Calvin Klein Bacote Story. Sura Khan exhibits sheer creativity in his work and has been the creative force behind five television shows he produced, “Make that change” “Rap Talk”, “It’s Music”, “The Sura Khan Report” and the creation of Fox Television’s “The Keenan Ivory Waynes Show”. Besides his spectacular talent in showbiz he exhibits great talent in music as well and produced four musical projects under the Kendon Records brand he established in the early 1990s and secured a distribution agreement with Landmark/Profile Records. Sura Khan is the writer and producer of the much anticipated new television series drama “South Brooklyn” a weekly, one-hour program drama focusing on the Urban Community, Drug Awareness, Politics and Music in development. He has been working in all the major entertainment industry genres, Movies, Television, Music, and Books. His knowledge base is extremely widespread and dynamic and he believes that visionary leadership is based on a balanced expression of the spiritual, mental, emotional and physical dimensions. He is truly a leader who pursues his dreams through a concoction of core values, clear vision, empowering relationships, and innovative actions. 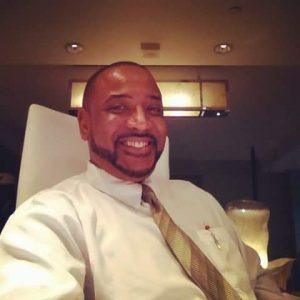 Sura Khan has written, directed and produced two feature films “Brothers Gonna Work it out” (youth awareness film) and “In the name of love” two film documentaries “Life on the walk of fame” The Virginia Capers and a “Filmmakers Journey”. His talent of writing is brilliant as well and he is the author of two published books “Life on the walk of fame” and “In the name of love”. His journey has been tough and full of ridges but his sheer passion and enthusiasm kept him determined and dedicated to his talent and dream. He has achieved several awards including Fundraising Merit Award/Producer, Youth Service Award, by New York City Housing as Volunteer of the Year Award and Social & Community Service award, by Mayor’s Office of Operations as Film Program Producer Award of Merit, by Who’s Who in America as Induction Honors, by NYCHA Council of Presidents as Community Service Directors Award, by NYCHA Resident Association as Outstanding Leadership Award, by USA Senator V. Montgomery as Leadership Award of Merit, Congressional award /Ed Towns NY and Theater & Arts Award of Merit by Brooklyn Borough President- Marty Markowitz as Outstanding leadership in the Arts. NYCHA Community Operations award for Outstanding Program Director by Albany Houses President, and Community Leadership Award. Honors from Ezine-Article Publishing as Expert Author and by October Film Festival as Best New Television Series Award.